Once a gold mine in the late 1800's, now a wildlife refuge, Kofa lives up to its name; King of Arizona. Located in the middle of the desert outside of Yuma, the remote location of this refuge naturally limits crowds. To get into the refuge one must navigating a long and horribly rough dirt road into the park. Running a tight schedule, I only had 12 hours to visit the refuge, which gave me one sunset and one sunrise to photograph. When I planned out this trip I knew I would be racing the clock to pick up my wife and daughter in the morning at the Palm Springs Airport to start our family vacation. What I didn’t plan was how bad the road in and out of the refuge actually was. Knowing that my car is quite literally my lifeline while in the desert it served as a level of discomfort full knowing I still had an hour-long drive over jagged rocks and sand to get back to the highway while on a time crunch. During the drive I questioned if it was such a wise decision to beat up my car so far away from home, and if the potential risk I was facing was worth it. I almost turned back a few times on the drive. When I arrived at the camping area I was fortunate enough to have the entire place to myself. It’s an eerie feeling when you are so far removed from civilization in the searing desert heat with no one to help if needed. However, once I made it into the area I wanted to visit, my concerns seemed to wash away as the sheer beauty of the desert landscape captivated me. 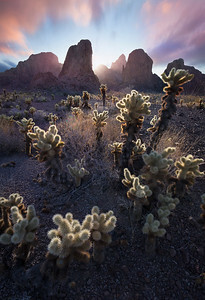 Kofa is a photographer’s paradise. 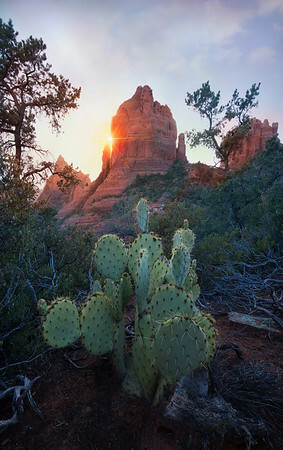 The endless compositions from sunrise to sunset truly make this a magnificent place to visit. Looking back, I am grateful that I made the choice to push on and will definitely be back again in the future. In the end I made it out safely and went on to pick the girls up at the airport for some quality time together as a family. I found this little fella right next to my foot while photographing some cactus in the Southern Arizona Desert. 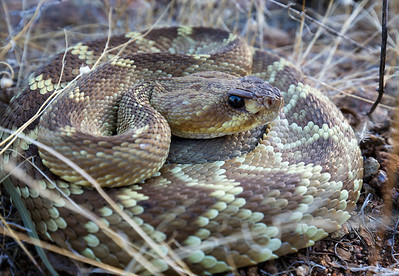 It's amazing how camouflage rattlesnakes are, and its equally amazing how docile they can be as well. This snake never even buzzed its tail or showed any aggression towards me. I am thankful for that, since I was wearing shorts and flip-flops (perhaps I will reconsider my clothing choices next time). While travelling the back roads of Montana I drove up on a cow standing there just blocking the road. He refused to give me room to pass so I had to get out of the car and coax him into the pasture. He was reluctant to budge in the slightest. Eventually he did head off, but it wasn’t without a certain amount of attitude. We locked eyes in a staring contest long enough for me to take several images to form a panorama with such an amazing background. For several years now I have noticed while driving to work a heron occupies the same spot on Nose Creek each morning. The efficiency of these birds is astounding. In fifteen minutes it captured three small fish for breakfast. 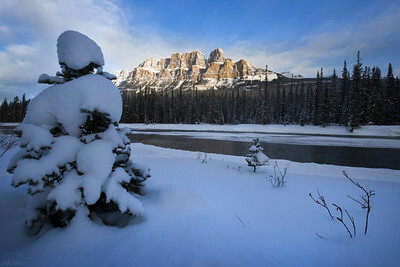 A frost covered soldier stands on guard protecting Castle Mountain in Banff National Park. 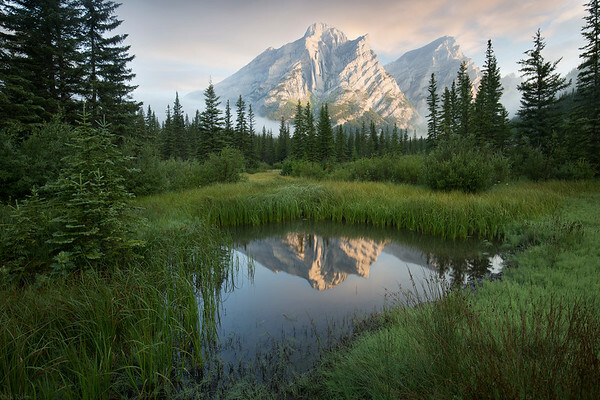 Overlooking the Bow River, this iconic mountain has become a popular destination in the park for adventure seekers and tourists looking to hike up to the lake tucked behind the peaks. 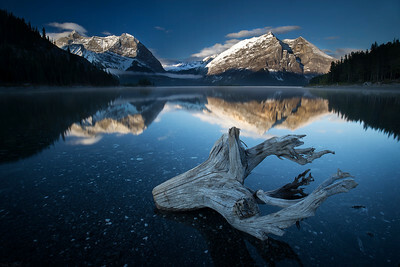 In the photography world this mountain has become a benchmark of anyone who visits Banff. Every evening emerging from deep in the forest canopy, Great Gray Owls such as this one come out to open meadows to hunt for meadow voles. During the twenty or so minutes I observed this owl, it had already caught and consumed three voles. It had no reservations with my presence. 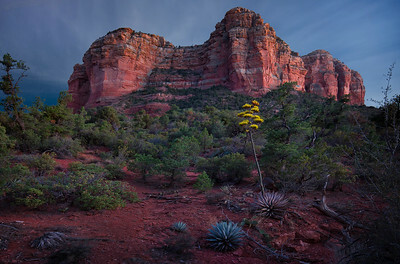 The yellow flowers of the alien looking agave plant certainly contrast the landscape. Once this plant flowers, it will die and eventually topple over. 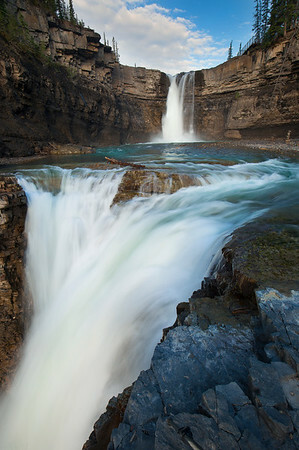 Fall is a great time to visit Banff National Park. The air is cool and crisp, crowds have thinned out, and the golden larches ignite the mountain slopes. The elk rut also kicks off during the fall season. 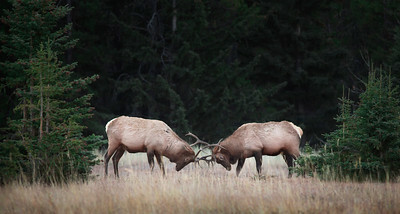 From mid September to mid October, in an attempt to win the hearts of the females in the herd, bull elk square off to prove their dominance. Locking antlers and using brute force they take turns forcing one another into submission. 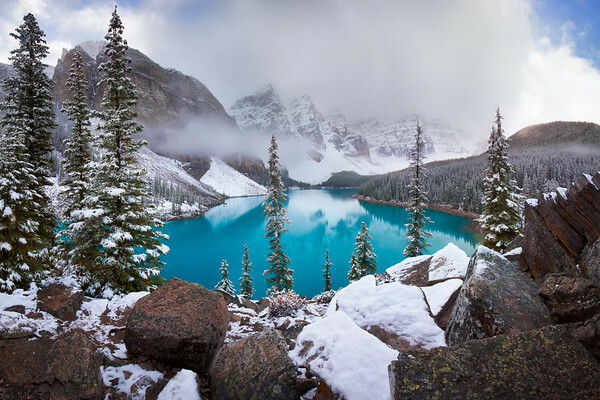 This photo is the result of countless hours of research and scouting in the Rockies over several years. As a photographer this is probably my favorite image because it represents how hard work and persistence pays off. 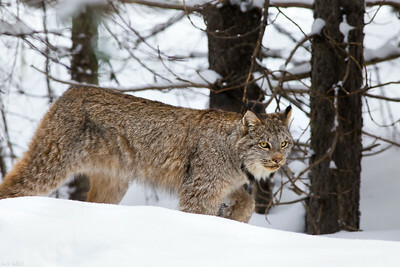 On this day, I set out specifically to look for and photograph wild lynx in Alberta. To understand what was involved in this photograph, you must first appreciate the fact that most people will never even see a lynx in the wild, let alone have a chance to photograph them. Spotting tracks in the snow is the first part. To do this I drive up and down high altitude mountain roads and scan the ditches for any animal tracks. If they are fresh I stop and investigate. Majority of the time it is only tracks from a hare or coyote that I see. I continue on this until I can make a positive ID on lynx. Once I located a set, I set up my camera gear and snowshoes and start following them. 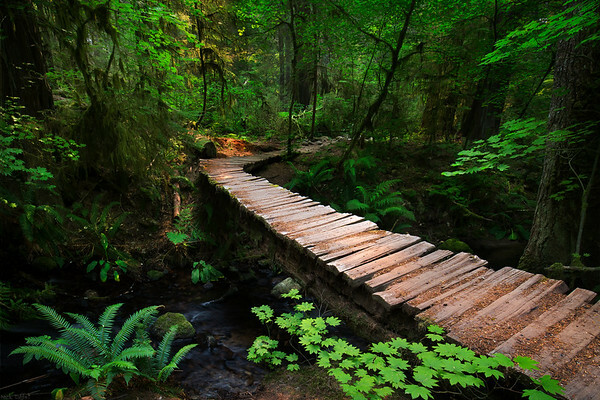 They have a tendency to take the most difficult routes through a forest and zigzag back and forth through the trees. 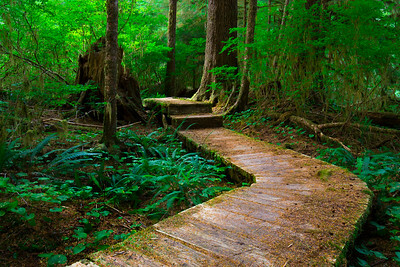 This is a test of patience and fitness to navigate the unforgiving terrain. I spent 7 hours following two sets through some miserable conditions on this day. After experiencing sheer exhaustion, I finally threw in the towel and had no choice but to start heading back to my car. As I made my way through the waypoints I marked on my GPS I noticed the tracks circled around me and were now heading in the same direction that I was. Just before making it back to my car I spotted my first glimpse of a cat. It was only a quick second. Simultaneously behind me the mother was sitting and studying me. I tried to take a few photos but my camera did not turn on. It turned out the battery came loose and prevented me from getting the shot. Devastated, I quickly fixed the camera and was presented with one last opportunity to get the shot. It seemed that by now the lynx and her kitten realized that I was not a threat and allowed me into their world. I spent the next 20 minutes or so jut mere feet away as they went about their hunting. This was truly a rewarding and humbling experience, one I am surely never going to forget. 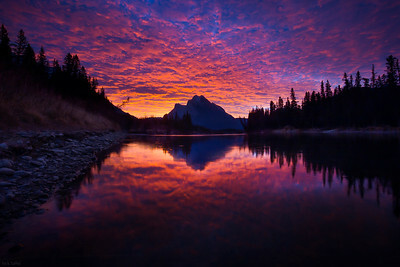 Few times in my life have I ever witnessed a sunrise as colourful as it was on this particular morning. I remember frantically driving down the highway as the sky lit up. Thankfully I was near an area I had scouted a few weeks prior so I pulled over and raced down to the river's edge. Unfortunately I just couldn't make the composition work from the riverbank. 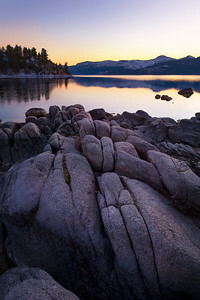 With only a few minutes left before the sunrise would be over, I made a quick call to get really wet. To get this shot I had to wade out into the water almost to my waist in a heavy current. I had to fight to keep my tripod locked onto the bottom of the river while not get swept away myself. As I look back, I am thankful I got the shot but oh my, that was one cold morning. 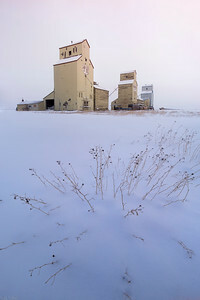 Like so many other regions of Alberta, these grain elevators were once the reason for the existence of rural villages across the prairie region of the province. The elevators were the method used to load trains with grain heading for further processing. With the modern era, these elevators for the most part have become redundant and abandoned. Some towns have kept their roots and still utilize this system. In this photo, the last elevator is still currently in use, but the other two have since been decommissioned. 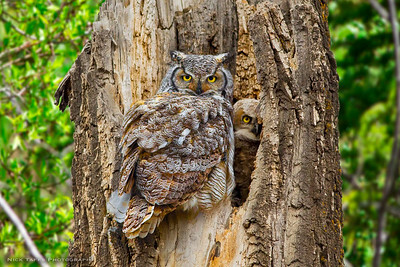 Two great horned owls intently watch me as they huddle into the hollow of a fallen tree. There are actually two babies, however momma is standing in front of the second one. The father always stayed in a tree nearby and kept a watchful eye on any visitors. At -28 degrees Celsius this small pocket of open flowing water on the outlet of Goat Pond in Kananskis remains ice-free year round. I had a hard time shooting this sunrise because the steam coming off the water was freezing to my lens every time the wind blew my way. 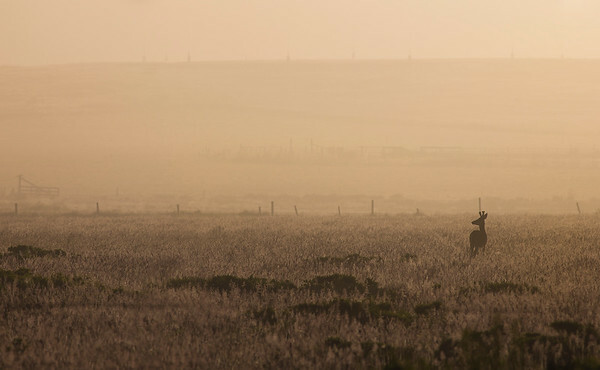 A young buck scans the open meadow on the lookout for predators in California's Point Reyes National Seashore. In Canada, prickly pear cactus can be found in small pockets scattered through the western provinces. They only grow to about the size of a football. Travelling through Arizona, I was amazed how big they grow when given year round sun. This plant sprawled out and was about 5 feet tall. 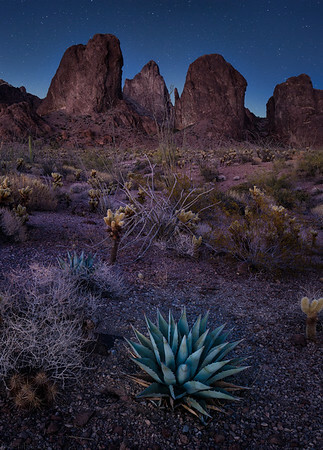 This was my first experience in the remote regions of the Kofa Wilderness Refuge in Arizona. During my visit, I was the only person in the park. You could see for miles in all directions. As my first day drew to an end, an eerie calm resonated through the desert as night approached. I have never been anywhere so quiet in my life. Alone, and lost in my thoughts I remember sitting in the back of my car with the hatch wide open, just looking at the vast landscape and enjoying watching the remaining sunlight slowly disappear behind the horizon. Of the few times I have visited the deserts of the American Southwest, it is the silence that I enjoy the most. 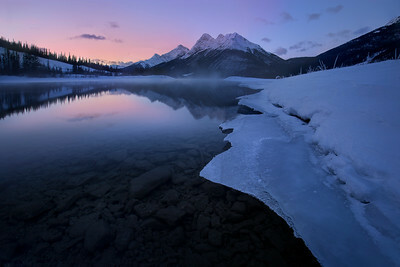 Every now and then, I head out in the early morning to search for owls along the Grand Valley Road north of Cochrane. This Great Grey Owl was the first of many I found that morning. I was able to observe it hunting for nearly half an hour before it silently slipped away into the forest. In that time, it was able to successfully capture three voles out of five attempts. 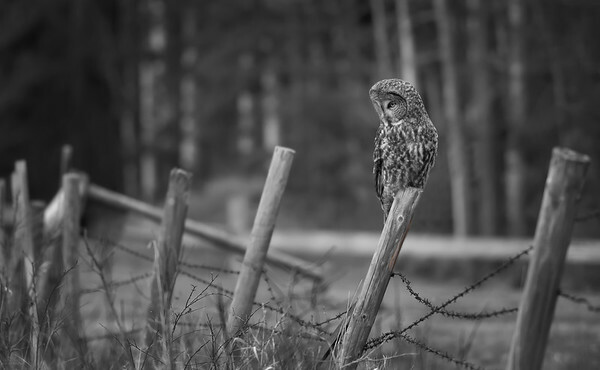 In this photo, the owl has spotted a vole and has locked its eyes on the target while waiting for the right moment to dive down on it. The attempt that followed seconds later was one of the failed attacks.